The exhibition in Rudolfinum is divided into five sections. Firs one shows portraits of the artist’s bandaged face, in the second part are paintings with references to the Nazi past of Austria, both the third and fourth sections have a child in different strange situations as their central subject. The fifth part differs from other ones, as it consists not of hyperrealistic paintings, which look almost as photographs, but it consists photographs itself – showing Marylin Manson as a strange icon of popculture. 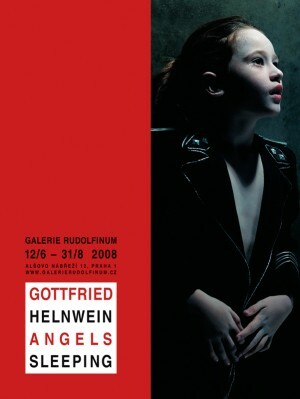 Some of works exhibited here are loaned from the property of Gottfried Helwein, some from both public and private collections, and there is a big and representative among of them. I did not really like them, but if you are into hyperrealism, you definitelly should see it. Also it is worth to know, that exhibitions in Rudolfinum are always quite important, as it is one of top exhibiting places in Prague.